Christen’s professional aspiration is clear and unambiguous: for our members to love Odenton Fitness and for them to get the very most of their workouts at Club One. If she can be of help to you in any way in your effort to achieve your personal goals or if you have an idea – any idea at all – about how to make Club One a better place, call her at 410-729-3900, e-mail her at clubonefitness@earthlink.net, or simply give her your thoughts when you see her at Odenton Fitness. 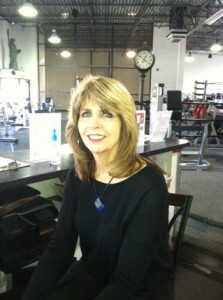 Kathy Gleason enjoys working part time at our front desk. 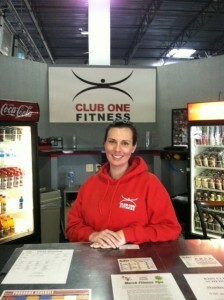 Kathy has been a fixture in the Club One family for the last 11 years. She has been married for 38 years to her husband, Chris, and has 2 children and 4 grandbabies. When she is not at the club, she takes care of 2 of her grandchildren. In her spare time she enjoys exercising, reading, dancing, and traveling. Kathy will gladly answer any of your questions and assist you with any needs you might have during your visit to our club…with a beautiful smile!